The Brooklyn Nets are honoring the late Notorious B.I.G on the court at Barclays Center this season with special City Edition uniforms inspired by Biggie's iconic Coogi sweaters, and a similarly styled home court design for select games when the uniforms are worn. As it turns out, there are more Biggie tributes in the works, including an exclusive Air Jordan 1 which is reportedly limited to just five pairs. 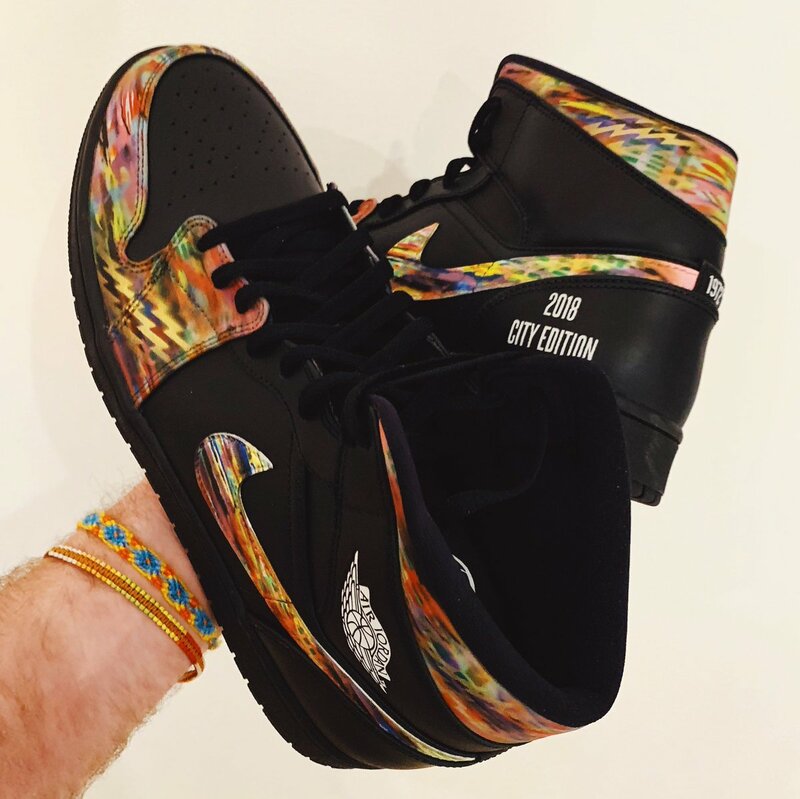 As seen in the images provided by Jason Stein, the limited edition 1s feature a black leather base accompanied by the "Brooklyn Camo" design on the Nike swoosh, ankle collar and around the toe. 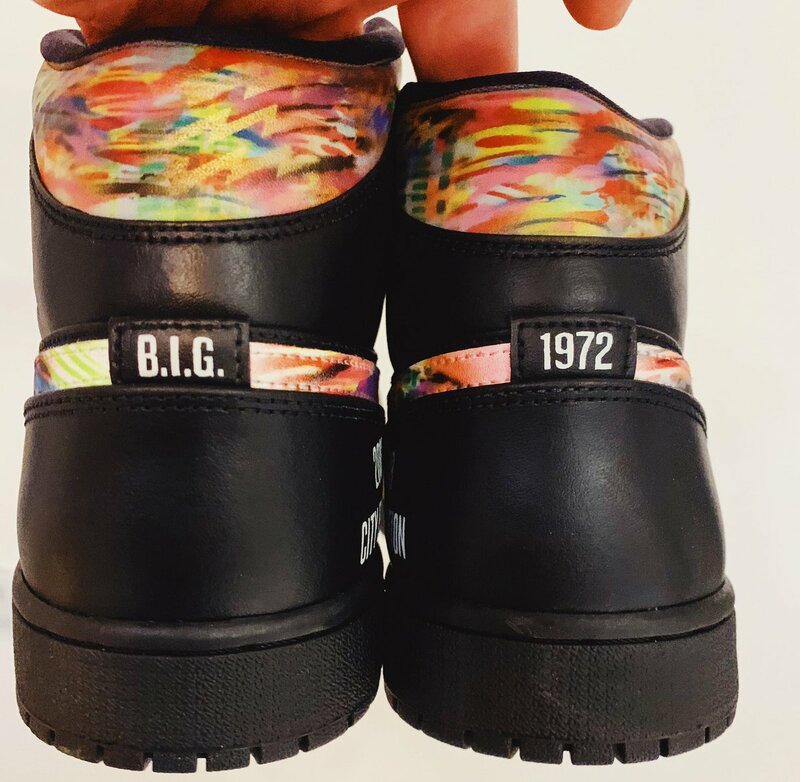 The 1s also include "2018 City Edition" text near the heel as well as "B.I.G" and "1972" text on the heel tabs. 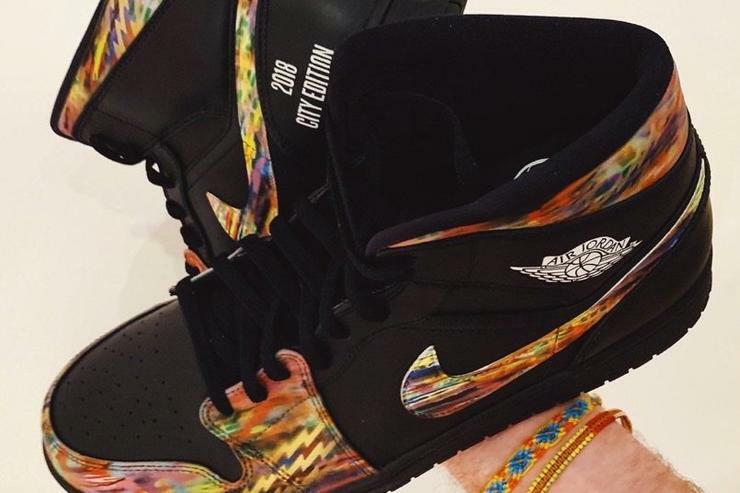 It's unclear if the Nets x Biggie Air Jordan 1s are a custom rendition or a pair made for select members of the Nets organization, but it's apparent that they won't be headed to retailers.